1st is the Ray Cook, Silver Ray 3 wedge set… These wedges seem to be above average in their quality. They came in 52, 56, & 60 degree lofts. I found that they seem to be a little light for my taste as I like a little heavier wedge set. I also felt they needed a little more bounce to them. I found that I didn’t hit these as far as other wedges I have used in the past. I am 5′ 10 1/2″ and found the shafts to be about an inch to short for my height. So you need to keep this in mind. Overall I will not be using these wedges as part of my set. But I do feel that these wedges are a very good value for the money ($79.99 for all 3 clubs) and would be great for the beginner golfer or the once of year one. Their good quality will give you many yrs of use from them. 2nd is the Bullet Golf .444 Hi-loft #9 fairway wood. This club is the one with the green head in the picture. 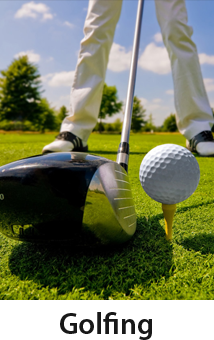 It is a hybrid type club with a 27 degree loft, which puts it somewhere between a 5 and 6 iron in loft. I had never used a hybrid before and won this just to see if I would like it. Personally I did not like it at all. I could hit my regular 5 or 6 iron much further with a higher trajectory and softer landing than the bullet. It felt and looked good to hit, though it was very light. My hits seemed solid and straight, just short. Also you don’t get any type of feedback from the club on mishits. I prefer to get some feedback when I hit it wrong. I also question the quality in the long run… It seemed to be pretty marked up after just a few hits with it, so it seems like the material used may be too soft. Again it is an ok club for the cost (only 59.99) So if you want to use it as a test club to see if you like hybrids, I think it is good choice. 3rd is the Ray Cook, Blue Goose Putter. This is a mallet style 35″ long putter. It comes with a case for the head and has a sight line you use for direction of the putt and to see if your swing is staying straight. The putter was actually a little lighter than what my past putters had been. I just Love, love, love this putter. 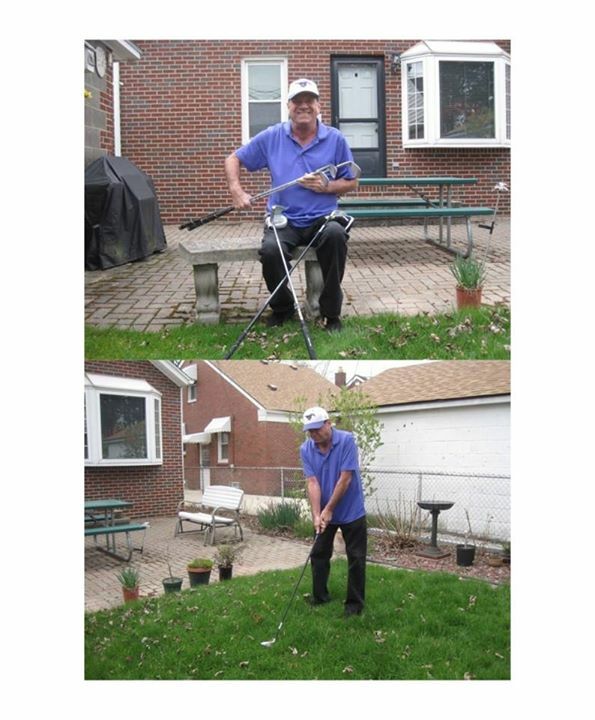 Even before my health problems I was always a notoriously terrible putter. I used to shoot between 77 and 85 which included many, many 3 putts per round. Well my first round with this putter I only had 2 three putts and that was on 2 of the 1st 3 holes. The next 15 holes I had 6 two putts and 9 one putts !!! So Unbelievable to me. The Blue Goose just felt so good in my hands, I was able to keep it on line and I found it easy to hit my putts the right speed with it. This club will never leave my bag !! I would definitely recommend this club, though others might not like it like I did… since putting is so subjective from person to person. But it was a great value ($79.99) for what it costs. Seems to be very high quality and the cover is high quality and protects the head very well !! Hope these reviews help and weren’t too long. Thanks QuiBids for the great items you offer and the great savings !! Value price for this is $24.99. The auction ended at 7 cents and I used 4 vbs so I got a 99% savings!! Thank you QuiBids again for having items that it in limited space!! Happy Bidding and Best of Luck!!! 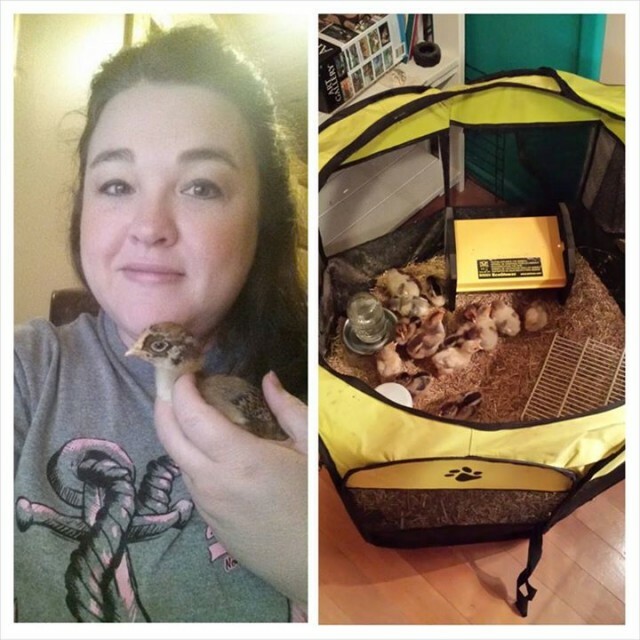 Shanon G. and the Portable Pet Playpen for Chicks! It is perfect for what I am using it for. The bottom is waterproof and it is easily cleaned. There is plenty of room to brood 20+ chicks up to about 3 weeks of age when they can move outside during the summer months. It would also work really well for a small or medium breed puppy or dog if you need to keep them protected while out. The top zips completely around and can lay off the edge if not needed. There is also a zipper door on the side that can roll up if you want to leave it open. One of the biggest things I like about this play pen is that it is completely collapsible. When not in use, it folds up neatly and doesn’t take up much room. I would highly recommend this to anyone with pets. The UPS man made me a happy girl today! I’m so hooked on Omaha Steaks I really don’t think I will ever be buying meat, chicken, hot dogs, sausages, or even fish at the grocery store again. I got these 2 packages right at the beginning of June and was anxiously awaiting my styrofoam boxes. The first was the Backyard BBQ, $99.99 and was a BIN. The second was the Superb Griller Pack, $ 74.99 value. The auction ended at $.11. 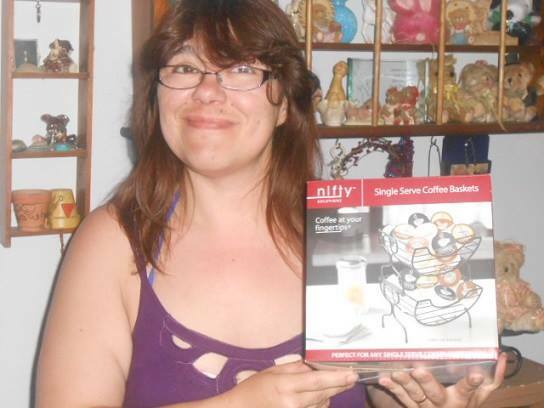 I used 4VB to win the auction, my savings on this package was 99%! What do my husband and I get to enjoy broiling, baked, stuffing, and grilling? The best part about Omaha Steaks is how they wrap each item individually. It can stay in the freezer so long, with no chance of freezer burn, that I don’t have to worry about any of it going to waste like I would with product from the grocery store. Not to mention it really does taste A LOT better! I just wanted to thank Qubids for helping me to help others!!!! I found out after the holidays last year, that our local orphanage did not have enough gifts for all the kids. Broke my heart!!!! I made a personal goal to donate 100 gifts this year. I am now more than half way there. 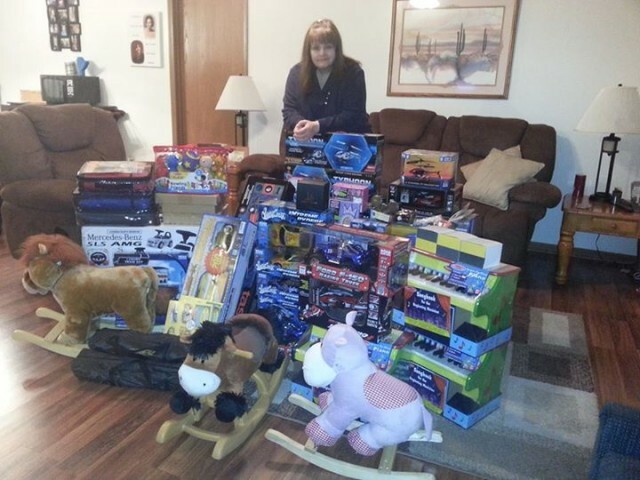 I have remote control cars and trucks and helicopters, riding toys, watches, tents, Melissa and Doug pianos etc… Spent very little money, but I’ll be able to give very nice gifts to deserving kids!!! Now I need to win some batteries. Lol!!!! Thanks again for making this year a great holiday!!!! 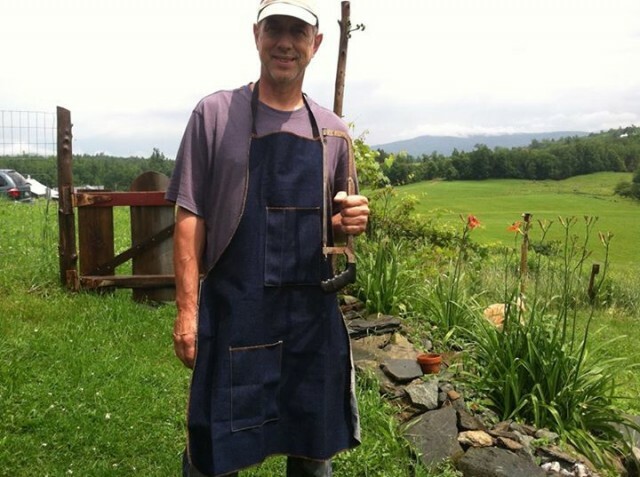 I won this 2 pocket Heavy Duty Denim Shop Apron and a 1 x GP for one vb and a penny! What more can I say, that’s a perfect hole in one! A 99% savings and I had a great time playing Deal Wheel with the GP. It was shipped free! Thanks Q! 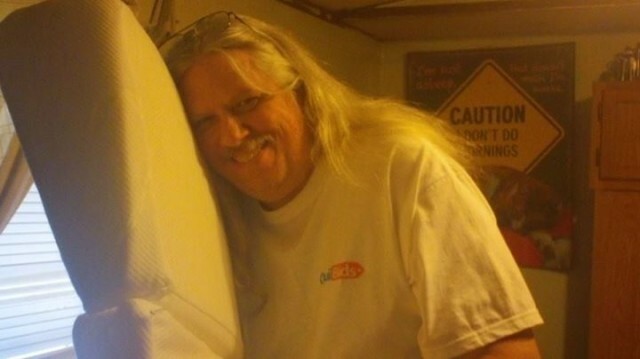 See how much fun you can have with QuiBids at www.quibids.com. 100 Pack Duracell Coppertop Batteries – AAA, 20 real bids/ 1 voucher bid, $46.35 savings, end price $0.64, 79% saved shopping with #QuiBids. Love it!!!! 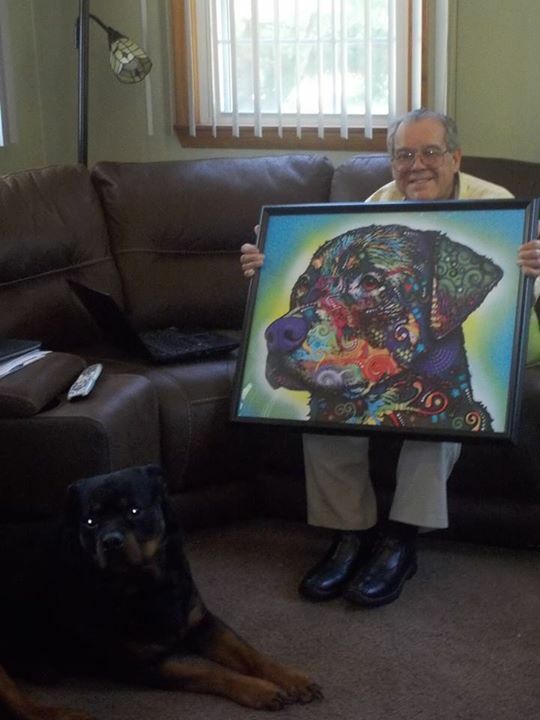 A must have for a lover of the breed The Rottweiler by Dean Russo, Framed Art Size, 30 X 24.5. I have loved the the pictures of all the breed I have seen won by other Quibidders Boxers and Beagles I love how this Artist captures such soulful eyes. This is a very large print and Deacon approved. This has a retail price of $219.99 I spent 177VB’s and 15RB end auction price of $10.12 in total I spent $19.12 for a 91% savings of $200.87 Thank you #Quibids, for this beautiful print and great savings. It’s no surprise that Omaha Steaks continued to lead the pack in popularity last month. Our users certainly seemed to enjoy the promotional pricing! Gift cards also remain high on the popularity ladder. Rounding out the top three for the second month in a row are all manner of kitchen items. We look forward to another month of food, fun and family! 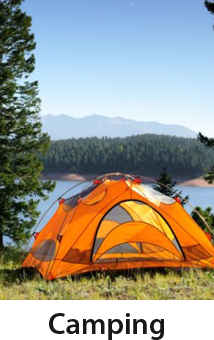 Don’t forget to unplug and enjoy some outdoor fun this season. 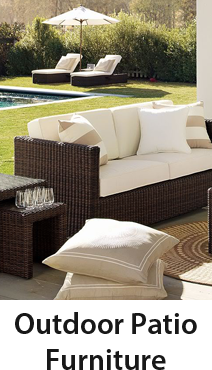 Check out all of our exciting product offerings to help you make the most of your summer fun! Here’s a quick look back at June’s QoW award winners. If you’ve missed reading about them, check them out now! Week 1 – Raman S.
Week 2 – Karen C.
Week 3 – Anne C.
Week 4 – David L.